Cathy Wilkes has been selected to represent Great Britain with a major solo exhibition of new work. Island at the British Pavilion at the 16th International Architecture Exhibition – La Biennale di Venezia. An exhibition featuring the evocative video installation The Slave's Lament by Scottish artist Graham Fagen, and work by Bahamian artists Sonia Farmer, Anina Major and John Beadle. Are You Taking Part in the Venice Architecture Biennale 2018? 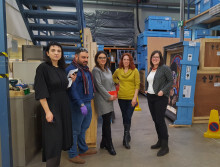 A group of curators from six museums from across the Western Balkans working together to curate an exhibition from the British Council Collection celebrating women in visual art. We are looking for a researcher to produce a case study and short evaluation of the mid term outcomes of the British Council’s 2017 Venice Fellowships programme, mainly with regards to skills development of Fellows. 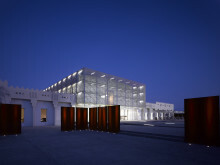 As part of a Gulf-wide cultural relations initiative the British Council is offering UK institutions the opportunity to bring exhibitions to the Gulf that will engage 14-30 year old Gulf nationals. 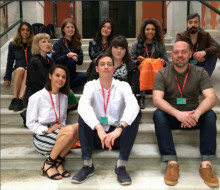 See the work inspired by the Venice Biennale by Students, recent graduates and artists – who were part of British Council Fellowship Programme . Last November, eight UK curators visited galleries and art events across Indonesia.